Years before Walt Disney made Mickey Mouse whistle in Steamboat Willie, Felix the Cat was the unparalleled cartoon superstar of the Jazz Age. Sly, scrappy, and surrealistically polymorphic, Felix enthralled audiences in dozens of short subjects produced between 1919 and 1930, churned out from the minuscule Pat Sullivan Studios in Manhattan. During the height of the silent era, Felix became a worldwide phenomenon; he was the first cartoon character to become transformed into plush toys and other merchandise, two popular ragtime records were released in his honor, and a Felix comic strip spin-off ran in hundreds of newspapers. A former prizefighter, convicted felon and by all accounts abusive drunkard, producer Patrick O’Sullivan long took sole credit for Felix, but historians now recognize that the wily cat was in fact the creation of self-effacing cartoonist Otto Messmer, whose place as one of the major innovators of animated motion pictures is now beyond dispute. The son of German immigrants, Messmer was lucky enough to grow up in Fort Lee, New Jersey when that city was a hotbed of early film production. As a young illustrator, inspired by seeing the films of Émile Cohl and Winsor McCay at nickelodeons, he successfully lobbied small studios and began working in the emergent business of animation. In 1915, Sullivan learned of Messmer’s work and hired him for his own company. There, after working on a series of cartoons based on the antics of Charlie Chaplin, Messmer introduced a plucky black cat in a one-reeler entitled Feline Follies in 1919. The picture was an immediate hit for Sullivan’s distributor, Paramount, and its main character was soon dubbed Felix—alluding to both his feline nature and felicitous fortune—and given his own successful series. 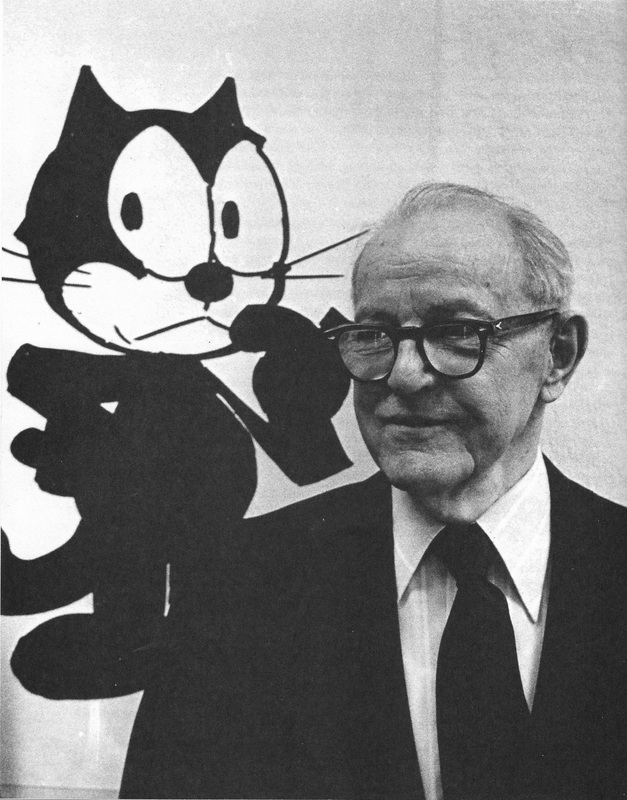 Messmer oversaw Felix’s development for over a decade while the little cat bankrolled Sullivan’s studio. “There was never a script,” one of Messmer’s co-workers later remembered. “As he worked, Otto would continually think out loud of new ideas, for this film or for the next one...He was animating and thinking at the same time. I don’t know how he did it.” At Felix’s height, Messmer’s small assembly-line team completed a new Felix cartoon every other week. Tonight, Light Industry celebrates Messmer with eight of his most remarkable Felix cartoons, including one of the director's only sound films, the college-themed phantasmagoria Skulls and Sculls. In the spirit of popular exhibition practices of the 1920s, Messmer’s silent films will be accompanied by live improvised soundtracks by artist and composer Marina Rosenfeld. Tickets - $8, available at door.